Manager Claudio Ranieri will leave French top-flight club Nantes by mutual consent after one season in charge. They host Strasbourg on Saturday on the final day of the season and could finish as high as eighth in Ligue 1. 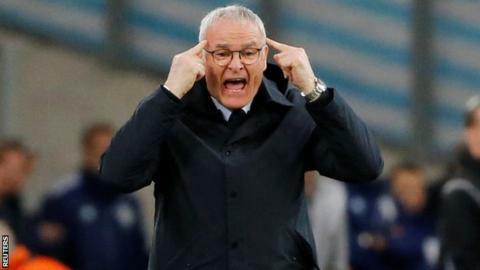 Italian Ranieri, 66, joined Nantes in June 2017, four months after he was sacked by Leicester. That came nine months after he guided the Foxes to the Premier League title in 2015-16, having been given odds as long as 5,000-1 by some bookmakers. Nantes was Ranieri's 17th job in a managerial career that has spanned 32 years. Under Ranieri, the French club were third after 10 games and stayed in the top five well into the second half of the season, but a drop in form has seen them fall to 10th. "The first part of the season was fantastic," said Ranieri. "Then we were inevitably disappointed: me, president, players, supporters."